So I’m on the costume team for a musical, and we’ve decided to tell the fairytale story with a steampunk twist. Thus, I’ve been researching, and stumbled across some inspiration for some personal DIY, once I have time. Enjoy! 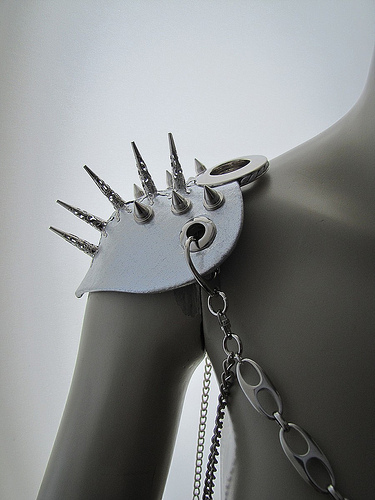 I’m thinking some studded shoulder pieces could be an edgy piece for winter, no? Spiked Studs on jackets have been popular for a while now, with heaps of tutorials around. That reminds me, I gotta get my hands on some Aluminium Flashing a la Geneva at A Pair and a Spare. I have been unable to find suitable flat studs for a while, and it seems like the perfect material, non? 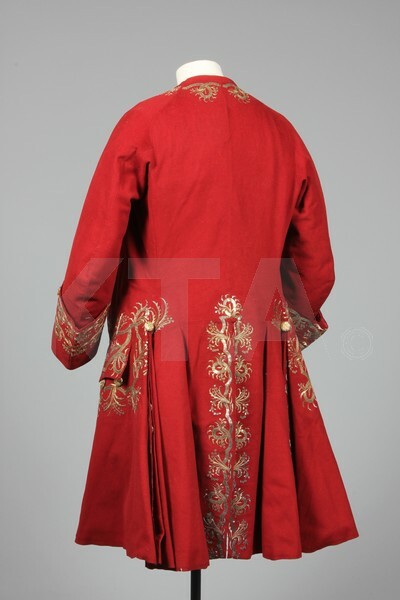 And finally, I’m thinking that a cropped frock coat backs might be an interesting twist on the old peplum skirt. Add some print fabric (perhaps vintage scarves?) to get some zing into your jackets.